Taking a new look at an older lens. 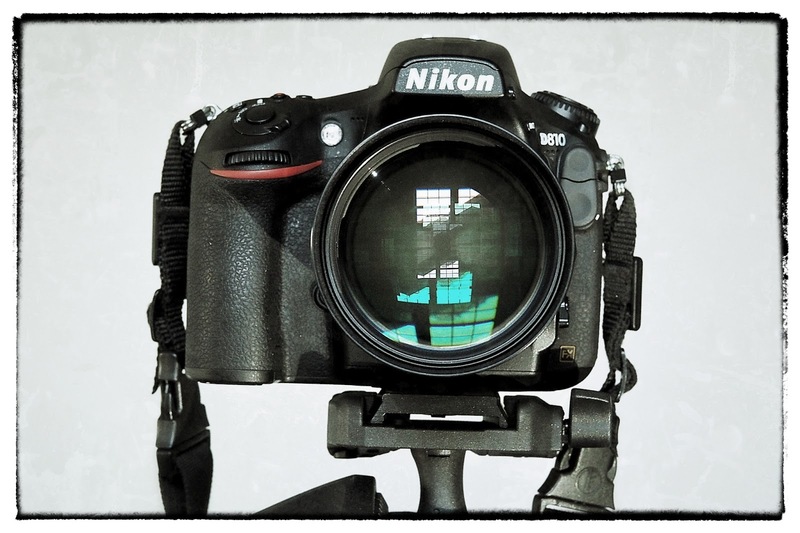 The Nikkor 135mm f2.0. ai. I've been on a search for the right 135mm lens for a while now. I've had the Rokinon 135 f2.0 in and out of my shopping cart on Amazon a couple of times. 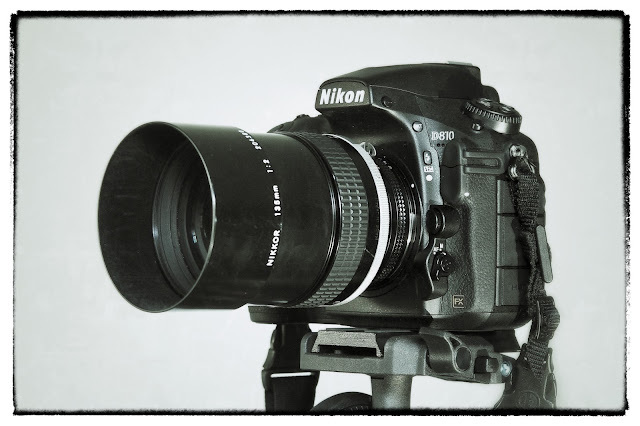 I've tested the Nikon 135mm f2.0 Defocus Coupling lens and I spent a day with the Zeiss 135 f2.0, shooting around town. Through all of this I had a niggling thought in the back of my mind. I kept thinking that the lens I really wanted was one I'd owned many years ago. Decades ago. I like old Nikon lenses. The fully manual ones. The ones you have to manually focus. The ones with hard stops at infinity. The ones with external aperture rings. The ones that were so well built they might never fail. I'm tired of the plastic exteriors. I'm tired of complexity. I have really come to love the big, accurate focusing rings. I wanted a fast aperture. My friend, Paul, had been in Precision Camera yesterday and called to tell me that, as a result of a recent expo at the store, there was a lot of great used gear getting put out on the shelves. When I woke up this morning I had visions of the old 135mm Nikkor f2.0 lens I used to use, mostly welded to the front of my F4s camera. I shot many of my favorite portraits with that lens and many more with that focal length across other brands. I walked into the store and straight to the used, manual focus shelf at the back of the store. There it was. Perfect glass. No abuse. Light use. My favorite store clerk uses a Nikon D600 to do great food photography and he's a good judge of lenses. He's never steered me wrong. And, to his credit, he's steered me away from more lenses than he's steered me towards. His pronouncement? "That lens is incredible!" It's really not incredible but it is very good, has lots of personality and feels good to use. There are several 135mm f2.0 lenses that might be a little sharper, if you focus them just so. And that's only at the widest aperture. All of them have some field curvature designed right in so none of them will be sharp across a flat frame from the center to the far corners, wide open. All of them get sharper as you stop down. But for a lens designed back in the late 1970's it's nicely competitive with the rest, once you factor in price and intended use. You know how I'll use it. I'll be shooting portraits under continuous light, from a tripod. I will summon up the courage to shot it wide open as long as I'm on the tripod and using the live view function of the D810 or D750 to nail critical focus. But that's how I've always intended to use every fast, long lens I buy. That's also how I use the sibling of this lens, the 105mm f2.5 ais. It works well. If I only shot still images with these cameras and lenses I guess I'd be happy to have autofocus capability but I keep shooting interviews and fun video and I love being able to shift focus while shooting, and to preset two focus points and rack between them. It's something these older optical systems do very well. I could parrot what others have written or I could rely on my faulty memory of shoots done a long time ago, but I prefer to get the lens on the front of the D810, round up the usual suspects (beautiful people) and do my own optical testing with this particular sample. My preliminary shots are making me happy. Stay tuned and I'll have more to say about this one after I've gotten some portraits done. Feeling a bit giddy. It's not every day that you conjure up the image of the perfect portrait lens and then walk into a store that has just what you wished for. And at a price significantly lower than anywhere else. Merry Consumerism! To one and all.